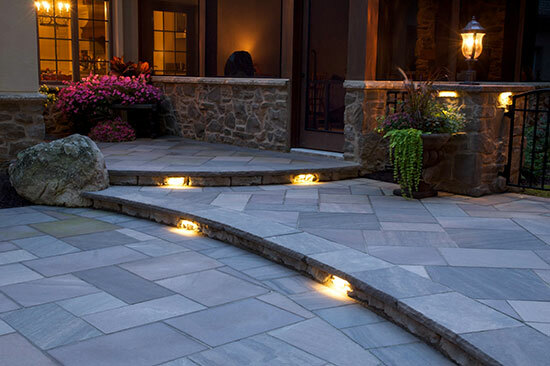 Company: GoldGlo Landscapes, Millersburg, Pa. 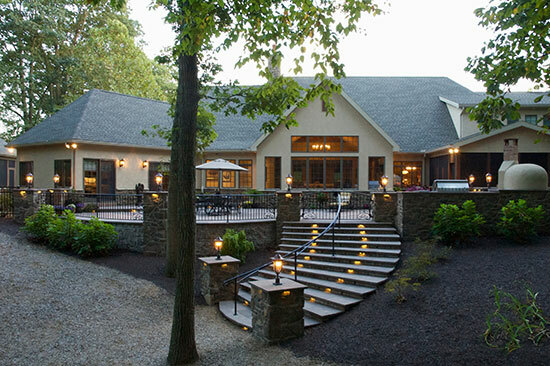 The client’s goal was to create a patio space to compliment the European-style home in a wooded setting, where his grandchildren could play and he could relax and entertain. There were several challenges. 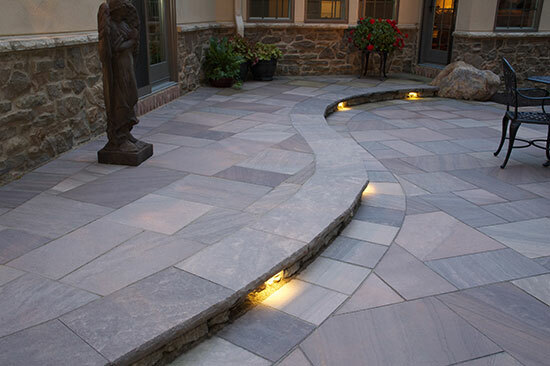 For example, the client requested natural flagstone for the 1,600-sq.-ft. patio—without the normal blue or grey colors found in Pennsylvania flagstone. 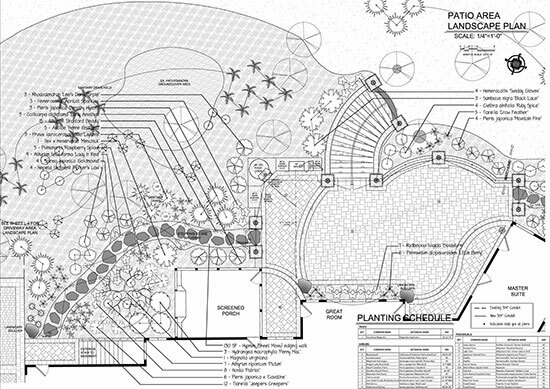 He also requested minimal disturbance to the large existing trees, which called for extra care during the build process. The steep slope from the home to the wooded area had an elevation change of more than 7 ft., which created a need for a raised patio with multiple levels and steps to the woods. Access to the rear of the home was limited; the staging area was also small, making material deliveries a challenge. Finally, an extensive drainage system was needed for proper stormwater management. GoldGlo Landscapes met these challenges and more. 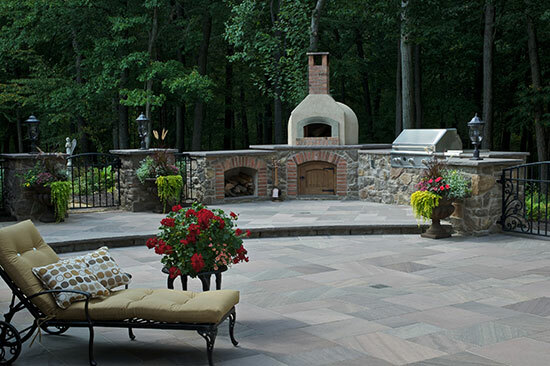 The patio even features an outdoor kitchen, complete with a wood-fired pizza oven. 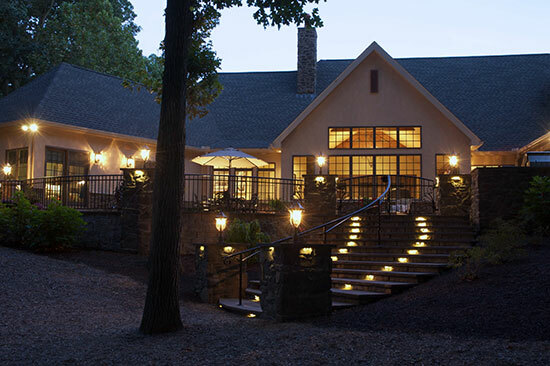 This and other aspects of this project earned GoldGlo a Grand Award last year from the National Association of Landscape Professionals’ Awards of Excellence program. A detailed, to-scale CAD design for the patio area. 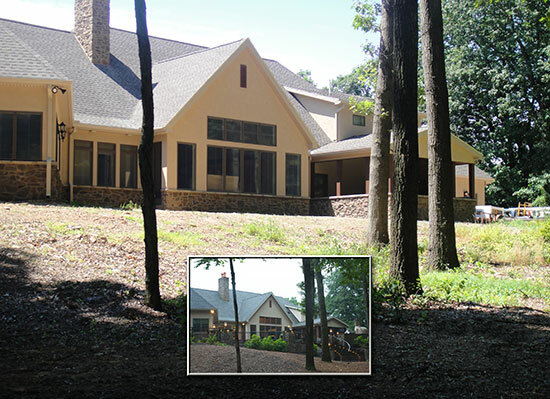 This “before” photo shows the challenging slope and the trees that the client wanted to preserve. 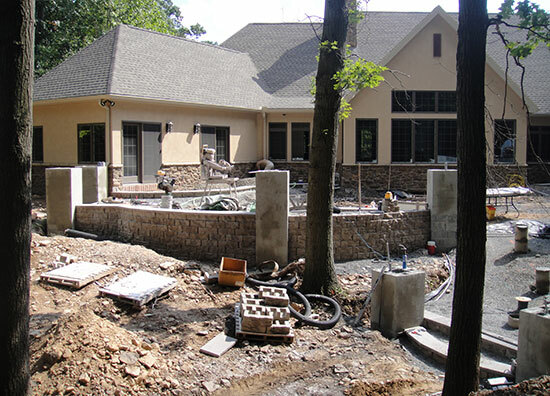 Working in a wooded setting on a slope with many rocks, existing trees and tree roots was often a challenge. 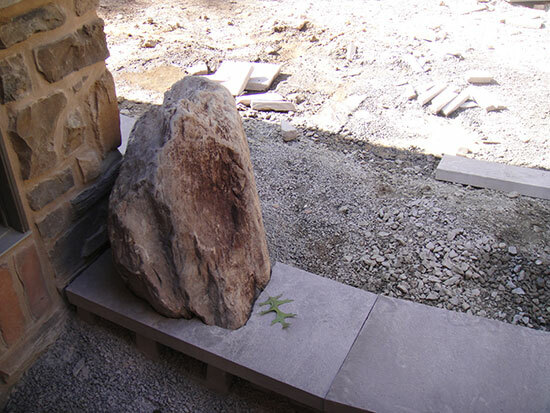 Hours of precision cutting were needed to integrate the two boulders at the patio’s elevation changes. 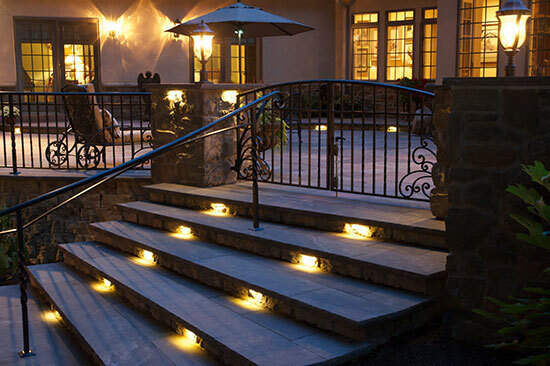 In addition to nine pillar lights, there are 69 low-voltage under-cap lights throughout the kitchen, steps and pillars for safety (and an intimate nighttime setting). 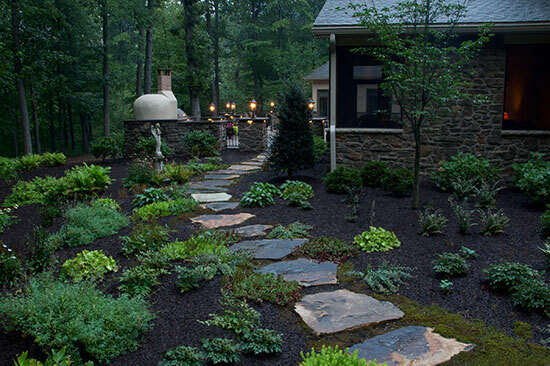 The natural stone steppers, surrounded by a perennial garden, lead the way to the patio’s main entrance. 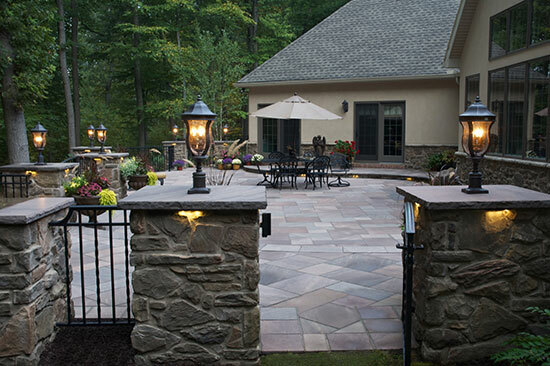 Note the multi-colored natural stone, as well as the 45-degree pattern used to define the patio’s upper levels. 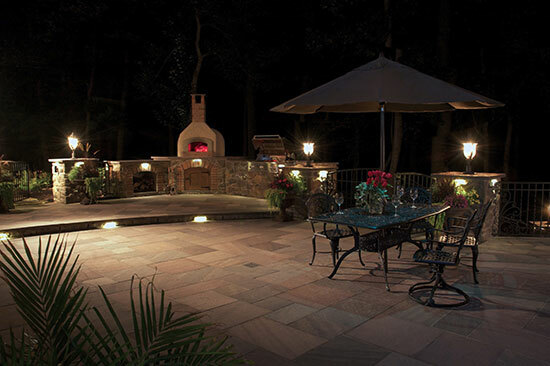 The outdoor kitchen features a natural polished stone countertop; the pillars were created with stone and custom mortar to match the house. The pizza oven is finished with stucco and brick detail, along with a custom Spanish cedar wood door for storage space. 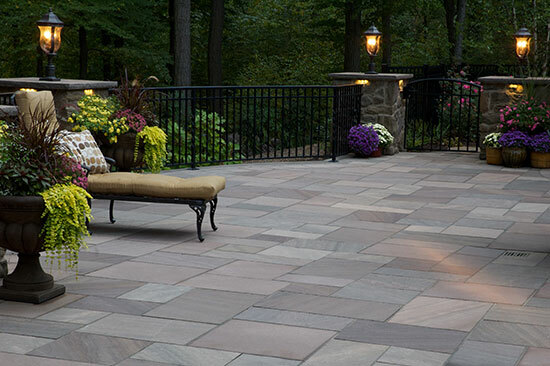 With some research, GoldGlo was able to source a natural, multi-colored, imported stone to fulfill the client’s goal of a unique patio floor. Matching natural stone with a chiseled edge was used for step treads. Note the precise cutting for tight joints between the caps. The steep slope was addressed by creating a wall and wide curved steps. Note how one of the natural boulders is integrated in the steps. A custom, handcrafted railing ensures safety and an enclosed area for grandchildren and pets. A stormwater basin was created and a drainage system installed, leaving the patio to function as desired.